The most common strain of the flu is resistant to the most widely used medicine to treat it. The medical arsenal against the flu just got weaker. Government health officials said Friday that a leading flu medicine, Tamiflu, might not work against all cases of the flu this year. 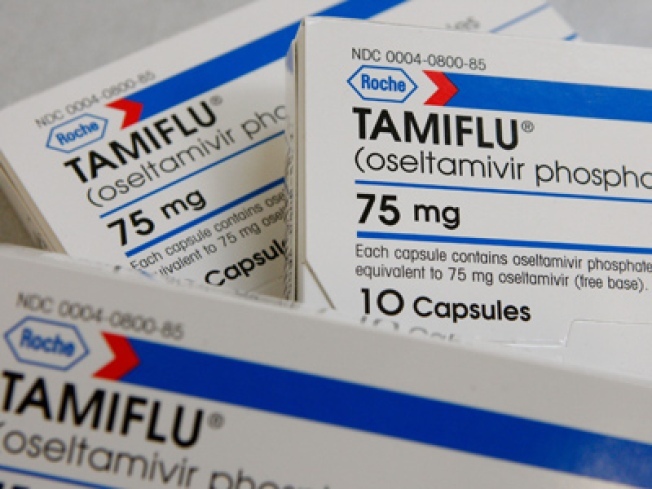 The most common flu bug right now is overwhelmingly resistant to Tamiflu, they said. The alert is "an early heads-up" for doctors. If current trends continue, they may need to change how they treat patients this flu season, said Dr. Julie Gerberding, director of the U.S. Centers for Disease Control and Prevention. Health officials say they aren't too worried, for several reasons. First, it's early in the flu season, and it's not clear this strain will dominate through the next several months. Second, not many people take antiviral medications for the flu. Third, the flu vaccine — the primary weapon against flu — seems well matched against the circulating bugs. But doctors need to take it seriously, said William Schaffner, a Vanderbilt University infectious diseases expert. "Each influenza seasons provides a bit of a surprise and we got our (surprise) a little early this year," he added. The flu causes 200,000 hospitalizations and 36,000 deaths annually, according to official estimates. The elderly, young children and people with chronic illnesses are considered at greatest risk. For the public, the best course of action is vaccination, health officials said. Only about 30 percent of U.S. adults had gotten a flu vaccination this flu season, according to an online survey conducted by the RAND Corporation in November. A flu shot is recommended for those 50 and older, children from 6 months to 18 years, pregnant women, nursing home patients and those with certain medical conditions or who care for people with those conditions. For people who get the flu, the two most commonly used antivirals are Tamiflu, a pill also known as oseltamivir, and Relenza, an inhaled drug also called zanamivir. The drugs are most effective if taken within two days of getting sick but most people don't see a doctor that quickly. Early tests indicate that 49 of 50 samples of the main flu virus circulating this year — H1N1 — were resistant to Tamiflu. The samples came mainly from Hawaii, Texas and ten other states. Widespread flu has not yet been reported in most of the country. "It could fizzle out," or H1N1 could become the dominant strain, Gerberding said. A spokesman for Tamiflu's manufacturer — Roche, a Swiss company — said it's too early to draw strong conclusions about the drug's usefulness this flu season. The basis of the CDC's alert "is a small sample in a limited number of states, and Tamiflu is showing good activity against other circulating viruses," said spokesman Terry Hurley. For those sick with the flu, doctors cannot simply choose Relenza instead of Tamiflu. That treatment is not approved for children younger than 7 or people who have asthma or certain other breathing problems. GlaxoSmithKline PLC, which makes Relenza, said Friday it has enough to meet the demands of the current flu season. An option for some patients, Gerberding said, may be a combination of Tamiflu and rimantadine, another antiviral medication that works against H1N1 but lost effectiveness against another kind of flu virus. However, it's not clear how well that combination will work, Schaffner said. "This is a 'best advice with our back against the wall' kind of thing," he said.